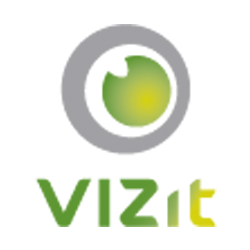 Determine the location where Vizit Pro's caches are stored. By default, they are located on each Web Front End in the temporary directory of the currently running application pool user's directory. This location is configurable so confirm it by going to the Configure Caches section of Vizit's settings in Central Administration. For Farms that have load balancing that does not provide session affinity, a Centralized Cache may also be specified. You will need both of these paths to complete the cache clearing process. On each Web Front End, navigate to the paths you found in step 1. Right click on the root directory and choose Properties. In the Security tab, choose Advanced. In the Owner tab of the "Advanced Security Settings" window, choose Edit. In the "Change owner to" list, select the user account that you are currently logged in as. If that user is not available in the list provided, select your user using the "Other users or groups..." button. Check the "Replace owner on subcontainers and objects" check box. Click OK on all subsequent properties windows until you have returned to the window showing your Vizit cache directory. Delete the Vizit cache directory. After steps 2 through 10 have been completed on each Web Front End, navigate to the UNC Path found in step 1 (if applicable), take ownership of it, and delete it.